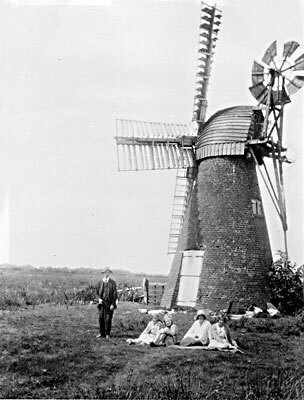 Catfield Swim Coots drainage mill was built as a drainage mill but it also had a single small pair of stones that had been incorporated within the structure to grind animal feed. 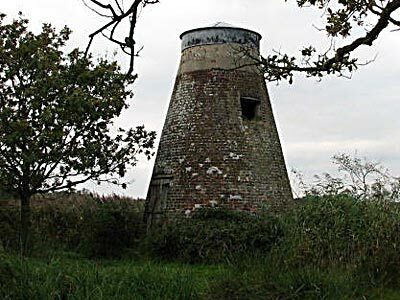 The mill stood by a dyke on the shore of Hickling Broad at the end of a long track, through marshy reed beds. 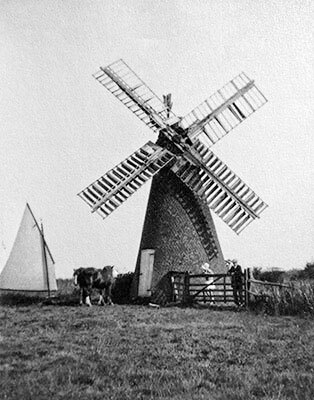 The mill had a Norfolk boat shaped cap, patent sails and a rare 7 bladed fantail. 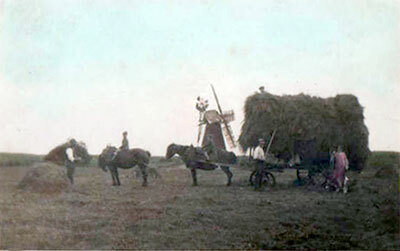 The Gibbs family once ran the mill and also ran Hickling Eastfield and Hickling Stubb mills. In 1978 Arthur Smith reported that only the 2 storey derelict red brick tower remained and it had been cemented at the top. The tower was about 19 feet high had a 15ft base diameter that allowed for a pronounced batter. 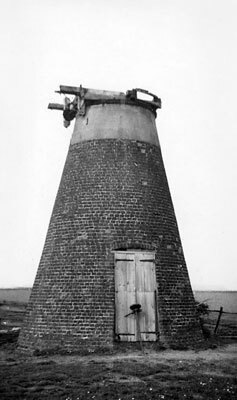 The cast iron 5ft 2ins scoopwheel remained inside the mill with no remaining paddles and water was running through the mill.